I know, I know, I say the same thing every Friday, but when the weekend approaches, I can't help but get excited. Plus, next week is my birthday, so the whole month I've been anxiously awaiting it's arrival. With Valentine's Day just around the corner as well, I can't help but focus on its romantic color scheme - red and pink. I'm not sure how these color became synonymous with the holiday, but I'm not complaining, as I love seeing pink everywhere. Don't be surprised if you see a lot of Cupid's colors popping up in my upcoming posts. I recently came across a fabulous accessory based website called, Coco Loves Rome. Not only is the name fun, but they have tons of great purses, earrings, necklaces, sunglasses and scarves. Everything is so cute, it's dangerous. My evil eye snakeskin clutch, pearl and gold drop earrings, and crystal nail cuff, are all from there. 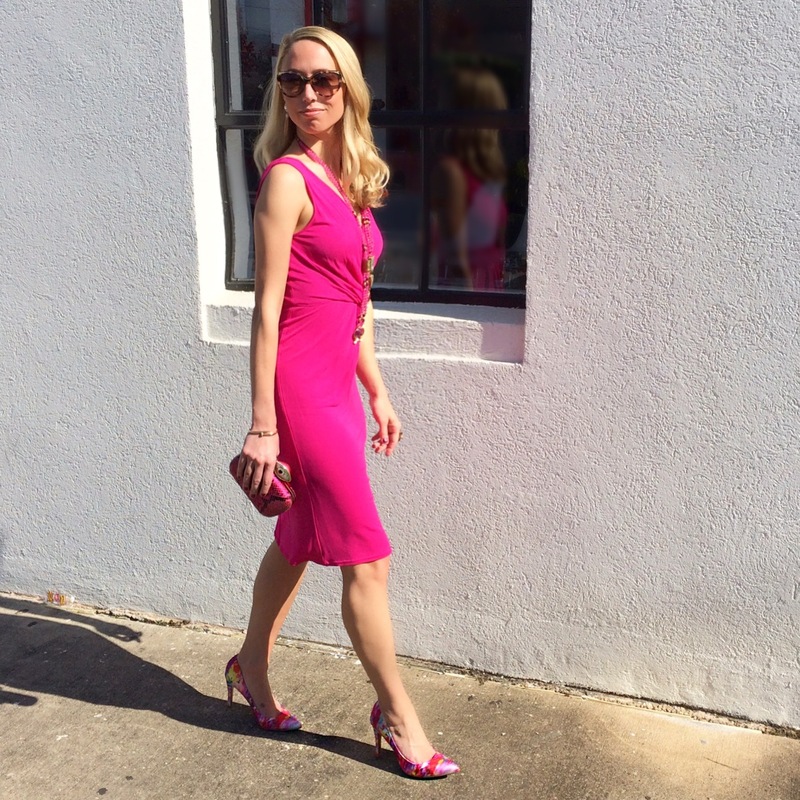 These accessories worked seamlessly together to make this little pink dress a bold statement. I topped it off with one of my favorite necklaces that I purchased while shopping at the Grand Bazaar in Istanbul. Coco Loves Rome & I have teamed up to give one lucky winner a $50 gift card to their site. All you have to do is sign up for their newsletter here, and scroll to the bottom of the page. The winner will be announced on Monday, January 25th! They're also offering 20% off, site-wide, to all my readers & followers! Head to my Instagram now to get the promo code!